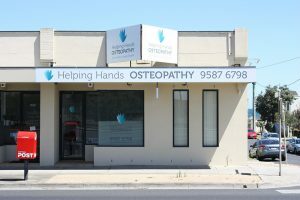 If you are located in Aspendale, then Helping Hands Osteopathy Aspendale is an easy and convenient clinic for your needs. We are conveniently located at 1/132 Nepean Hwy, Aspendale in Melbourne, We are close to public transport and a stone’s throw away from the beautiful Aspendale beach. You can access the clinic easily by car or public transport as it is only a 3 minute walk from the Aspendale Train Station. 1. Take the Frankston Line Train to Aspendale station. 2. Take the pedestrian tunnel to come to Nepean Hwy. 3. Head northwest on Nepean Hwy towards Foster Ln and walk 210m or 3 minutes.